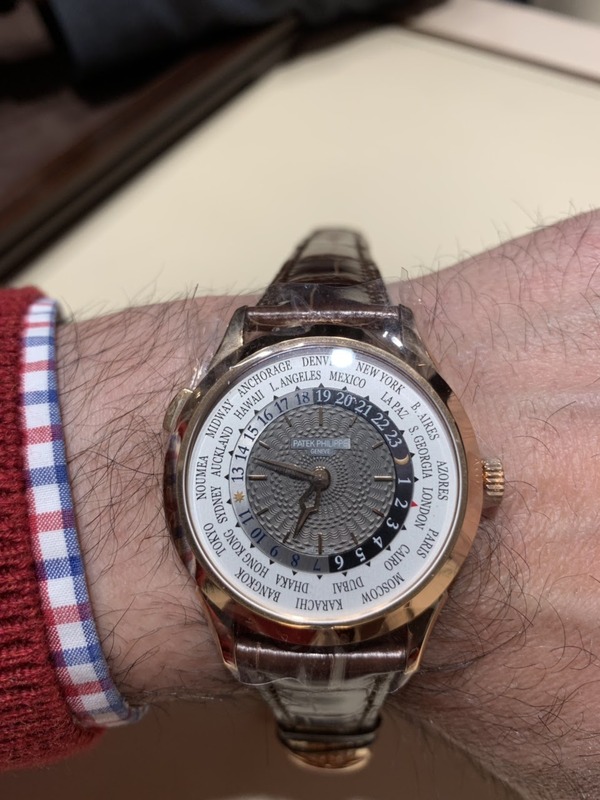 Patek Philippe - Rose gold or white? I saw the rose gold version in the flesh and it is gorgeous. 2: does a Rose gold “work” with a black strap. Choose what your heart desires. As for me i would choose white gold. so I think a black strap would work. Also, a lot of rose gold watches come on black straps. Anyway, that’s my two cents. You’re gonna be spending a lot more than that, so you decide. Enjoy! I love rose gold, personally. which contrasts a lot better with the grey guilloche dial. And if you do decide to go for the rose gold model, a dark brown strap would be preferred over a black strap which incidentally would look better on the white gold model. Rose gold is nicely accented with a brown croc strap, black works as well.